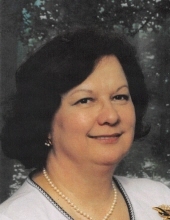 Mrs. Carol Schlenvogt of the Town of Fredonia passed away late Wednesday evening, April 10, 2019, at Gables on the Pond in Random Lake, following a battle with leukemia. She was 71 years old. Carol was born in South Dakota on April 13, 1947, one of seven daughters born to Harry and Margaret Reuland Krause. When she was a young child, the family moved to the West Bend area. On December 28, 1963, Carol was united in marriage with Mark Schlenvogt at Holy Angels Catholic Church in West Bend. The couple settled in Port Washington and later moved to their current farm outside of Fredonia in 1973. Mrs. Schlenvogt was a waitress at the Port Hotel for over 20 years, and had also worked at the Nantucket Restaurant in Mequon for many years. Most recently, Carol had worked at Columbia-St. Mary’s Hospital in the cafeteria for five years before she retired. Mrs. Schlenvogt was a member of Divine Savior Parish in Fredonia. Carol was a hard worker and took good care of her family; she enjoyed flower gardening and socializing with her co-workers and customers. Survivors include her husband Mark and their three children: Christine of Colorado, Jason of Belgium and Travis of the Town of Fredonia, four grandchildren: Morgan, Jeremy, Audrey and Cody and sisters Phyllis (Dewayne) Stiefvater of West Bend, Marcella (Eugene) Newman of Hartford and Mary Jo (Dwayne) Stege, also of West Bend. She is further survived by brother-in-law Tom Fick, nieces, nephews, other family and friends. She is preceded in death by her parents, sisters Dorothy (the late Norman) Otte, Bonnie Fick and Elizabeth (the late Wilbert) Reuwsaat. At Carol’s request, no services will be held. To send flowers or a remembrance gift to the family of Carol A. Schlenvogt, please visit our Tribute Store. "Email Address" would like to share the life celebration of Carol A. Schlenvogt. Click on the "link" to go to share a favorite memory or leave a condolence message for the family.